Stereosonic is the fastest-growing music festival in Australia, and in 2015, guests of Tigerair viewed the show in comfort and promoted the brand with Media Lounges from Bean Bags R Us. Tigerair ordered several of the large and versatile beanbags with the company logo emblazoned on the backs to increase brand awareness and remind festival goers about its efficient, affordable flights despite not having officially sponsored the show. The Stereosonic festival is one of the most popular music festivals in Australia. It was started in 2007 through a collaboration of Onelove and Hardware, two of the nation’s top music promoters, and it features popular acts from the world of electronic dance music (EDM). The event began in Melbourne, but by 2009, it has expanded to include stops in Sydney, Adelaide, Brisbane and Perth. For several years running, Stereosonic Sydney has experienced the highest attendance, and the 2011 show was the largest festival in the history of Australia with more than 60,000 attendees. Also in 2011, the festival was expanded to two days in each city, but this year, it reverted back to a single-day event. The 2015 Stereosonic Sydney festival was held at Olympic Park, attracted just over 48,000 people and featured several internationally famous acts, including Armen van Buuren, Galantis and Major Lazer, on five stages. The 2015 festival also attracted 13 big-name sponsors, such as MasterCard, Uber, Alcatel, Nova and Universal Store, but at least one other major corporation in Australia discovered a way to promote itself without having to pay what was surely an extraordinarily high sponsorship fee. Tigerair accomplished this by ordering several Media Lounge beanbags from Bean Bags R Us customized with the company logo. Tigerair is one of the most popular discount airlines in Australia. The company was founded in 2004 as an independent airline, but six years later, it became a subsidiary of Singapore Airlines Limited, which is based at Singapore Changi Airport. While Singapore Air serves the premium market, Tigerair handles regional, low-cost flights. In 2007, a new subsidiary, Tigerair Australia was formed specifically to serve the Australian market. Tigerair Australia is now, however, wholly owned by Virgin Australia Holdings, and it is headquartered in Melbourne with a secondary hub in Sydney. Tigerair Australia’s current fleet consists of 14 Airbus A320-200 aircraft, each with a capacity of 180 passengers. The airline currently serves 17 domestic destinations, and in 2016, limited international flights are slated to start with service to Denpasar, Indonesia. The same marketing savvy that made Tigerair a leading airline in less than a decade was used to discover how it could promote its brand at Stereosonic Sydney 2015 without having to pay high sponsorship fees, and the key to doing so was via promotional seating. Branded beanbags are an affordable yet effective way of advertising any business or brand. 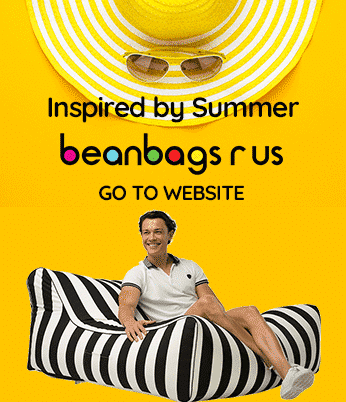 Bean Bags R Us is not only a top dealer of quality beanbags but also offers customization services for personal and corporate promotions to help businesses take advantage of an innovative form of marketing. 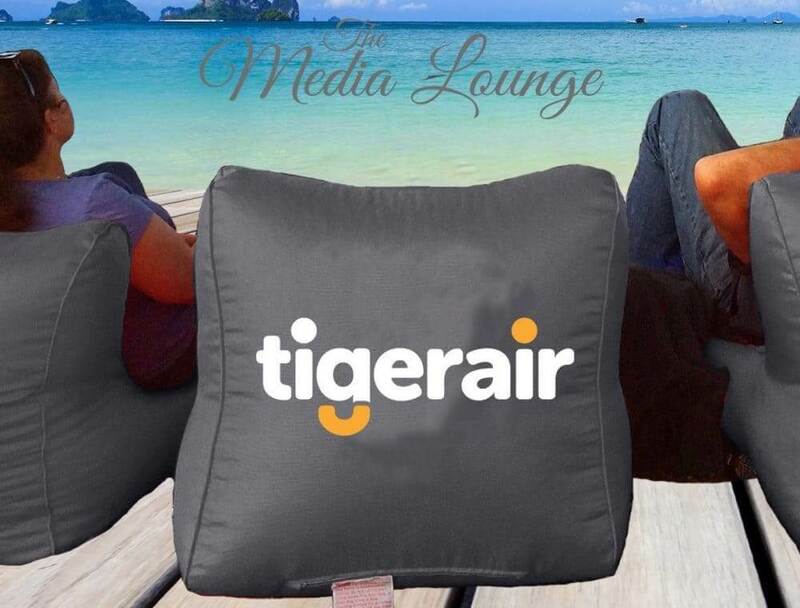 The model of beanbag chosen by Tigerair for use at Stereosonic was the Media Lounge, a stylish and versatile beanbag lounger that is great indoors but even better outdoors at concerts, festivals and other events. Even though Tigerair chose Charcoal Grey, the Media Lounge is available in a total of 12 colours. In addition to the use of the Media Lounge by Tigerair at Stereosonic, it was also featured by Channel Seven earlier in the year at the Paniyiri Greek Festival in Brisbane.